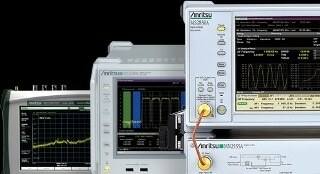 Anritsu Company is the North American subsidiary of Anritsu Corporation based in Atsugi, Japan. Anritsu has been recognized as a leading provider of communications solutions for more than 100 years. Anritsu has become a global leader in the telecommunications, optical and wireless industries by providing diverse product offerings ranging from test and measurement solutions to high-speed devices and components for use in R&D, production, and maintenance. Equally diverse are the types of markets served by Anritsu. The corporation is comprised of strategic business divisions, including Information and Communications, Test and Measurement, Components and Devices, and Industrial Automation. Each business division has the autonomy to operate as individual units and the solidarity to use complementary technologies in product development. The result is a fast response to customer needs while maintaining focus on designing “Intelligent Solutions” for future standards. For example, Measurement Solutions, which is the largest of the divisions, is committed to developing test and measurement solutions for all existing and emerging wireless communications devices and networks, especially 2.5G and 3G formats. Anritsu provides solutions that cover the full range of testing everything from the components in handsets, to manufacturing/installation of base stations, and deployment and maintenance of the wireless infrastructure. 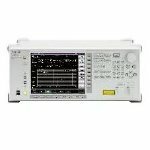 Anritsu Measurement S olutions also provides components and test instrumentation for the optical and digital communications markets.